Cabo Pulmo National Park has become a shining example of how Marine Reserves can protect marine life while benefiting the people and improving the quality of life for everyone. For many years, this precious place went unprotected. 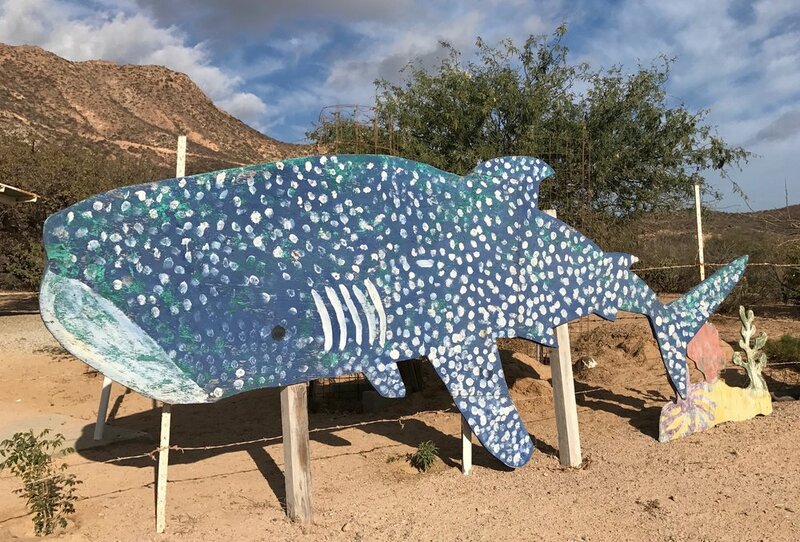 But through the tenacious efforts of the Cabo Pulmo community, in 1995, the waters offshore from Cabo Pulmo were designated a National Marine Park by the Mexican government. The results have been truly inspiring. The fish populations, including sharks, are steadily increasing. The reef is flourishing. The community is benefiting by having sustainable tourism income that protects their future income as well as their natural resources. This project is a wonderful example of what can be done when the community, conservation, and economics are connected in the right way. The community has embraced sharks on every level. This is the entrance of the local school.